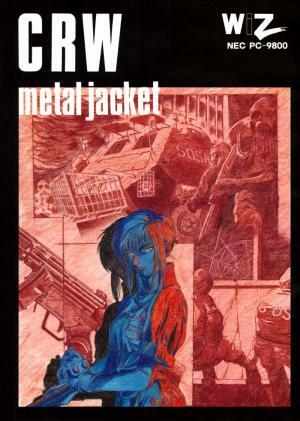 CRW Metal Jacket is a mecha strategy game set in futuristic Japan. You command a group of well-armed soldiers through a series of missions, from infiltrating a drug lord's mansion to assassinating the leader of a coup. The game proceeds in real-time, but you can pause the action at any time to give orders for your soldiers to move or attack. Your units can pilot one of three specialized mechs: Attacker, Defender, or Sniper, and your squad leader Reiko has an exclusive Commander mech. Each mech has a special move in addition to attacking or defending, such as the Defender's Search, which reveals a small area of the map from the fog of war. After each mission, all of your surviving soldiers earn bonus points, which can be distributed among their stats. If you fail a mission, you proceed to the next, but receive no bonus points, making all future missions harder. 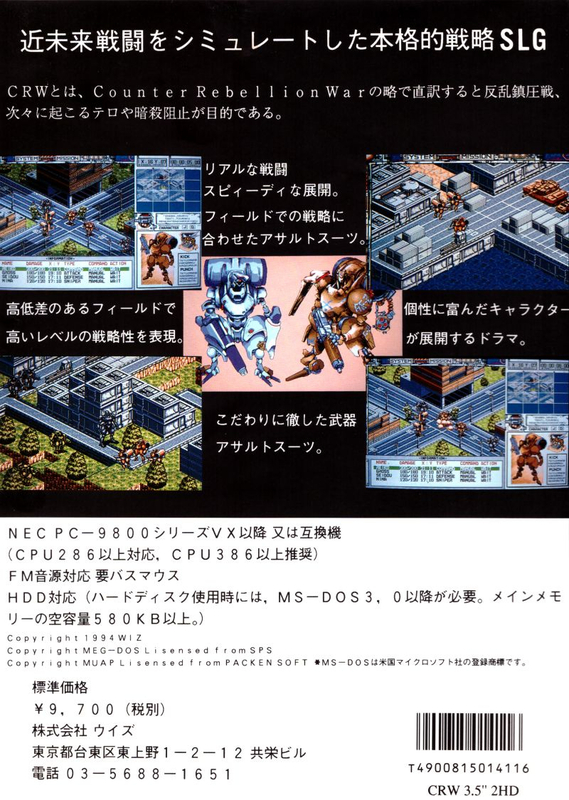 The game was released in Japan on the PC-98, then localized for China and Korea on DOS. The game was remade for the PlayStation two years later as the similarly-named CRW: Counter Rebellion War, with controls adapted to the game pad and four additional missions.